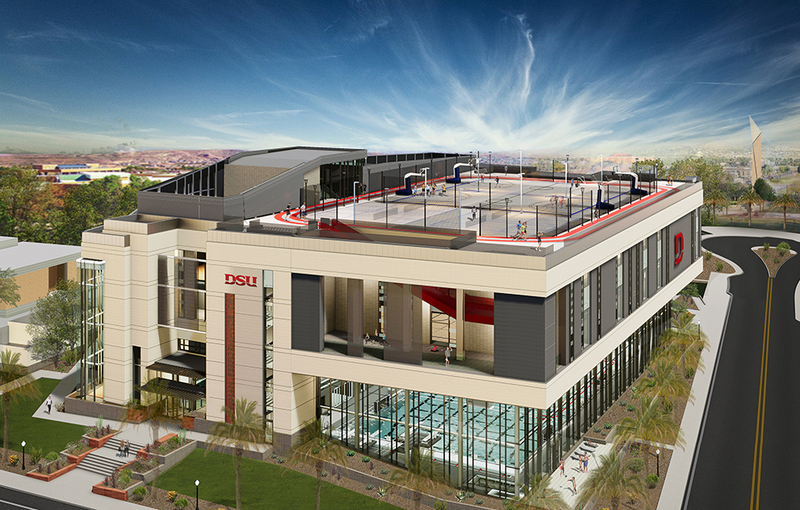 Academics, recreation and athletics in support of DSU’s strategic mission. 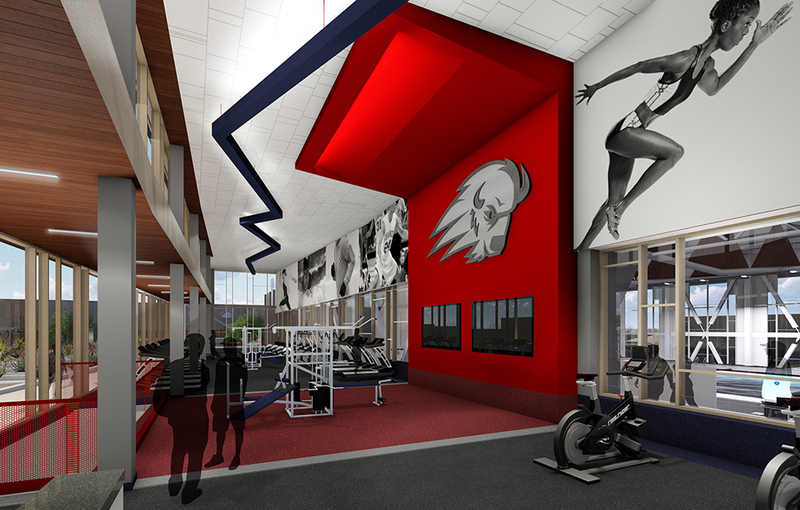 Dixie State University chose Hastings+Chivetta in association with MHTN to develop a program for the University’s new Human Performance Center. 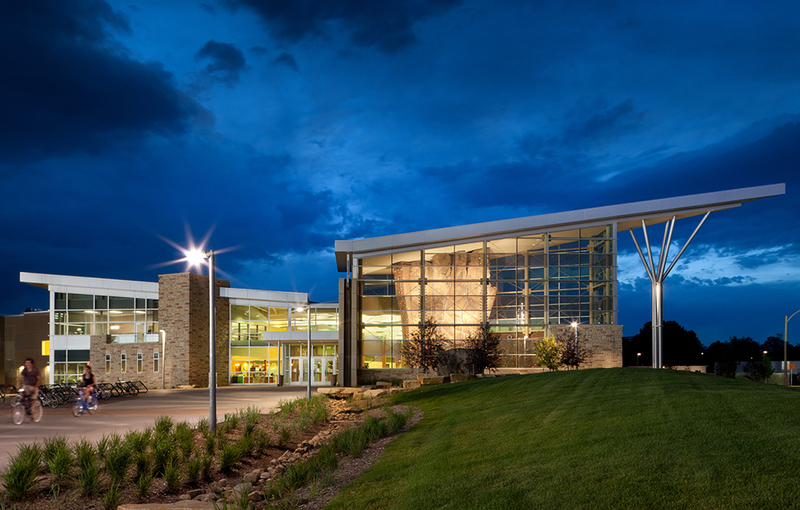 Once the program was approved, the University tapped Hastings+Chivetta and MHTN for the design of the new facility. 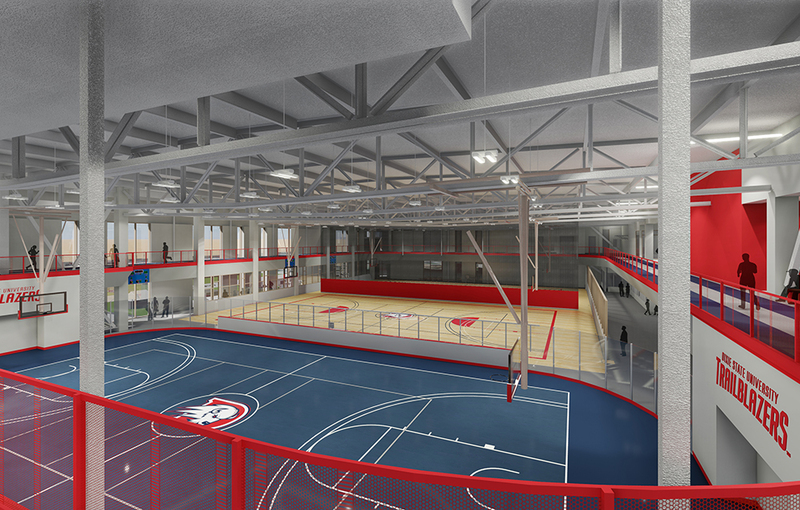 The Human Performance Center will be the new home for academic programs in Health and Human Performance such as exercise science, sports management and health administration. 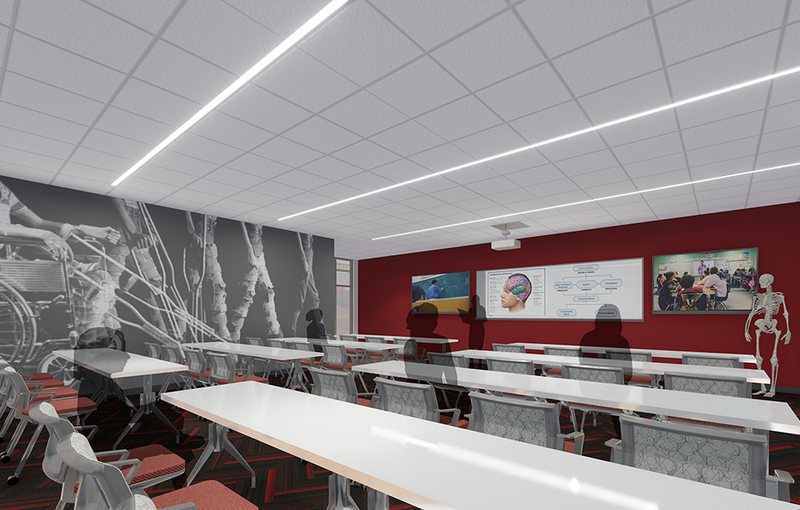 The facility will also provide space for Dixie State’s joint effort with the University of Utah to offer physical and occupational therapy degrees. 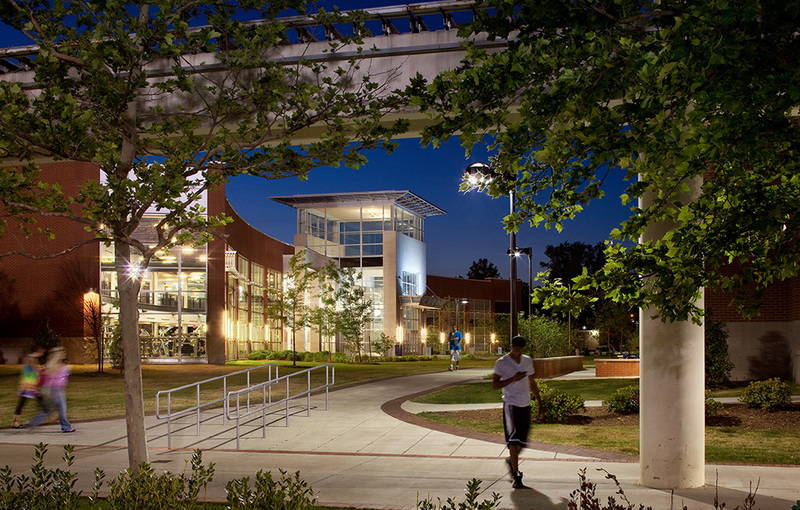 In addition to these academic opportunities, the Center will serve campus recreation, intramural and athletic needs. 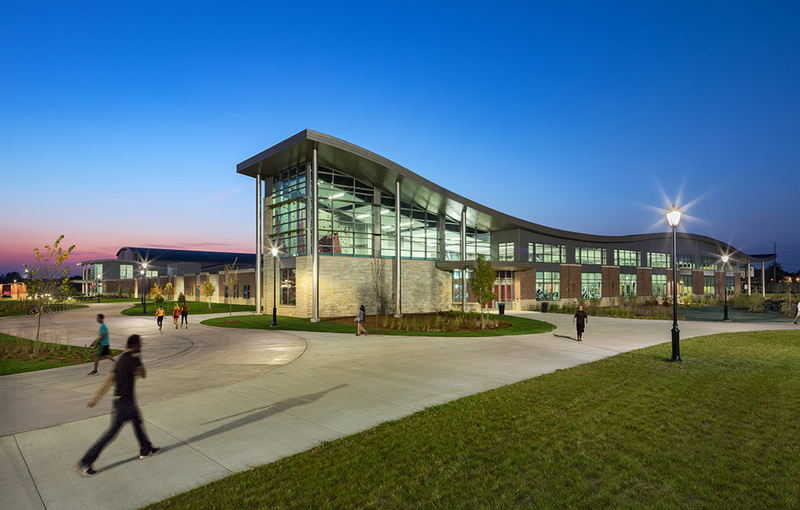 Recreation components include a fitness center with cardio, weights, and functional training, a track, two-court gymnasium, multi-activity courts and a climbing wall. A unique component of this project is the rooftop recreation area. Amenities include pickleball courts, basketball courts, and an indoor outdoor track that will circle the roof and continue indoors via a sprint track. 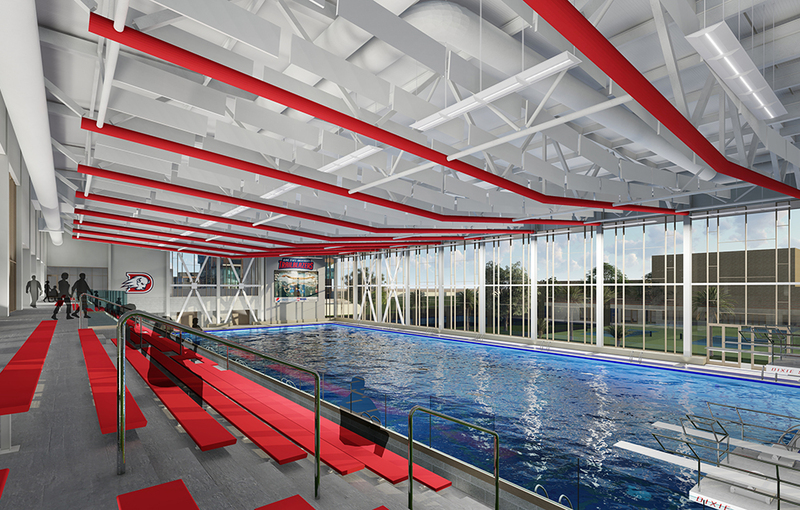 A new 50-meter swimming pool will be the only pool in Southern Utah that conforms to NCAA Division II standards. 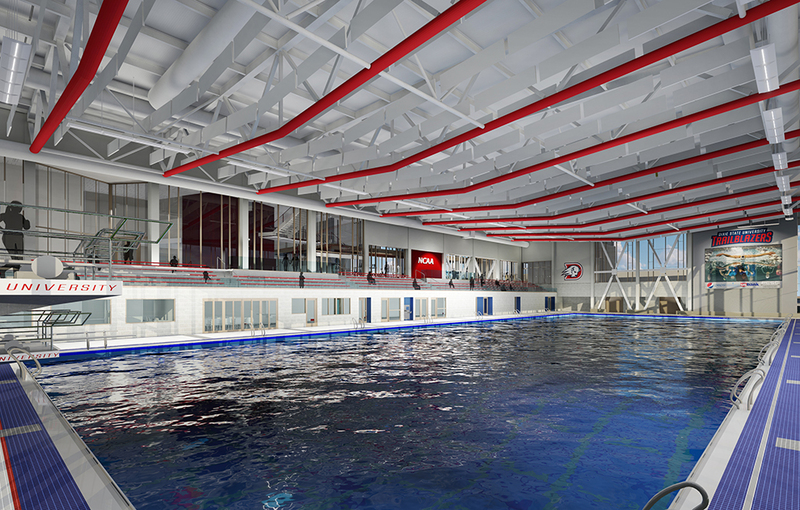 The pool will be open to the public during non-academic hours and be available for local and regional events. 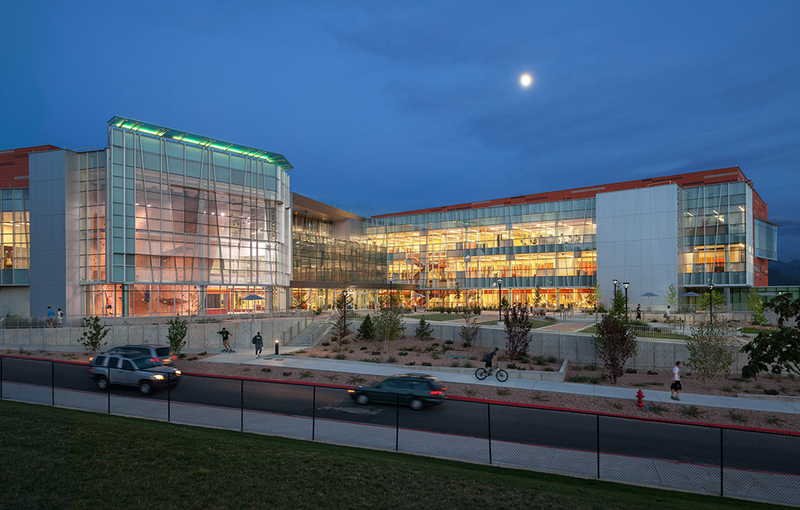 The facility represents the next major step in showcasing Dixie State University’s “Active Learning. 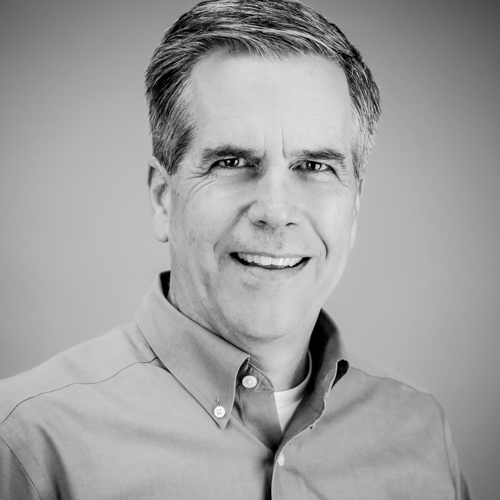 Active Life” strategic plan.